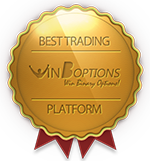 WinOptions Affiliates – Partner with Us! Trading options yields exceptional rewards and we extend that same philosophy to our affiliate program. Binary options affiliate program serves as a profitable marketing tool to bring in potential clients. Win Options affiliate programs are a new means of building strong relationships between the affiliate and the end user who visits the site. WinOptions extends the same rewarding benefits of binary options trading to its affiliate partners across the globe. Those who choose to partner with us enjoy the high-class service and lifetime commissions that we offer. All WinOptions affiliates utilize our exclusive binary options affiliate solutions to increase traffic to their sites. We provide our affiliates with a range of advanced marketing tools that will help them monitor their campaigns online, twenty four hours a day, seven days a week. We have created a unique affiliate package for all of our valued clients, regardless of how long they have been affiliated with WinOptions. Our package includes a series of marketing tools that can be used so you can stay on-track with your conversions. These tools include banners, landing pages, links, customized e-mails, promotions, templates and more. Not only that, as an affiliate you have the option to customize these tools so you can track how effective the tool is on your site. As you can see, we provide real-time solutions to cater to our affiliates’ needs, no matter how big or small their site might be. When you register for Win Options affiliate site, not only do you earn extra income through our highly-rewarding commission plans, you also give your visitors the opportunity to benefit from the leading trading platform that can provide them with the extra income they desire. 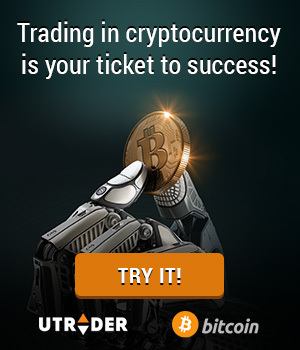 As one of our affiliates, your mission is to offer potential customers a quality trading platform that can earn them extra money on the global markets. As a Win Options affiliate you will receive the latest updates about the site, the best marketing tools for you to display on your site, and extensive WinOptions support to develop a marketing plan that’s right for your site. In other words, we give you all the tools you need for you to succeed. All you need is a traffic source of any type, such as a website, a network, an e-mail list, social networking pages and more. You can become an affiliate if you have any method to use to communicate with your traffic. If you have any of these, then go ahead and sign up for an affiliate account! For those who ask about the benefits of our affiliate program, let us give you an introduction. All WinOptions affiliates enjoy our high conversion rates, lifetime commission plans and professional support coming from our team of affiliate managers. We offer the highest conversion rate in the industry, and this is one of the reasons why our affiliate program is so successful. Our advanced marketing tools coupled with our unique reward system makes our affiliate program the fastest-growing and most trusted binary options affiliate program on the web. By now you’re probably thinking, what’s the best way to join this incredible affiliate marketing program? Just complete the registration form and we will contact you as soon as possible.